In a star system dominated by the brutal Vathek empire, eighteen year old Amani is a dreamer. She dreams of what life was like before the occupation and of receiving a sign from Dihya that one day, she too will have adventures and travel beyond her isolated moon. But when adventure comes for Amani, it is not what she expects, she is kidnapped and taken in secret to the royal palace, where she discovers that she is nearly identical to the cruel half Vathek Princess Maram. The princess is so hated by her conquered people that she requires a body double to appear in public, ready to die in her place. As Amani is forced into her new role, she can’t help but enjoy the palace’s beauty and her time with the princess’ fiancé, Idris. But the glitter of the royal court belies a world of violence and fear and if Amani ever wishes to see her family again, she must play the princess to perfection... Because one wrong move could lead to her death. Imprisoned and held within her gilded cage, Amani was taken captive by imperial droids moments after her Majority ceremony, a milestone celebration of maturity. Amani is a character of quiet determination, intelligent and spiritual, enshrined to Massinia. A theological Prophetess that has become the symbolism of a rebellion. Captured from her home among the stars, Amani is enslaved upon the Vathek occupied Andala. Amani and the Andalaan Vathek Princess Maram are indistinguishable, Amani is deprived of her identity, tortured, assaulted, her Indigenous symbolism removed and instructed to simulate as surrogate for the reclusive Princess Maram. Maram is young woman of Indigenous and Alien heritage, forsaken and displaced by the Vathek and Andalaan communities. Maram is isolated from royal courtesans and betrothed for political alliance, her father is apathetic towards his young daughter and heir. As the rebellion opposing the Vathek colonisation intensifies, Maram remains sheltered within her palatial home, her inhumanity ensuing Amani remains compliant. Amani and Maram establish a tentative friendship, Maram remorseful of her treatment of Amani on arrival and confiding in the young woman she is holding captive. Posing as Maram, Amani deceives the royal consort and betrothed Idris. Idris is perceptive and determines Amani as an impostor as his attraction to Amani jeopardising both their lives. The romance is delicate and compassionate, allowing Amani to disengage the masquerade of captivity. Mirage centralises on oppression, erasure and slavery. Although contrasting characters and circumstances, the imprisonment of a young woman who is tortured and a Princess within her gilded cage, both young woman are tormented by the burden of expectation. It scrutinises colonisation as the Vathek conquered the Mizaal Galaxy, poisoning the atmosphere of Vaxor and colonising Andala, enslaving the Indigenous population and depriving the Andalaans of their ethnology and spirituality. Rebellion arises as rebels strategise against their oppressors, Amani becoming embroiled in the uprising. The narration infused with delicate female and Indigenous empowerment throughout the instability of dissent and cultural reclamation, comparable to the current political climate and resonating with Indigenous readers. Amani represents a quiet endurance and resilience against her environment, a reiteration of nevertheless, she persisted. 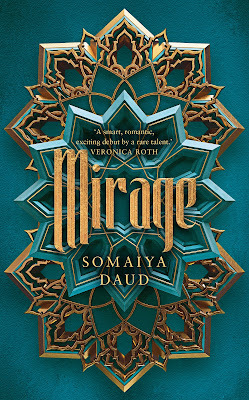 Somaiya Daud has composed an exquisitely imagined narrative, enchanting and affluent. A remarkable debut. I'm thrilled to see you enjoyed Mirage. I was very impressed with the story and the writing when I read it. It's really exquisite isn't it, so glad you enjoyed it Suzanne! 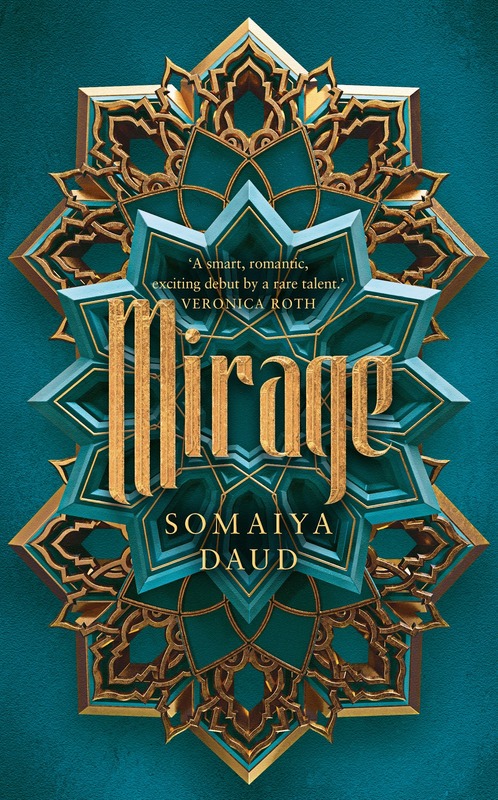 I can't wait to read your thoughts on Mirage, it's such a wonderful read and touches on societal issues that are relevant today. I think the narrative will resonate with many readers. Her mother being an Indigenous Andalaan and her father is Vathek, Maram has no sense of belonging. They see her as the heir to her father, a calculating oppressor who is responsible for the erasure and genocide of the Indigenous population. Powerful themes of colonisation. Whew. I love Amani's quiet strength, and her role in this seires make me think I would like to see the worldbuilding behind this all. Great review, Kelly! The world building is where the science fiction aspects are blended throughout this fantasy actually, the star system has been colonised by an alien race. The narrative holds a quiet beauty that captivated me until the final page. I'm happy you enjoyed this! I wanted a bit more from Amani and was a bit uncomfortable with her friendship with Maram. Amani was too forgiving for me. I understood that she found a kindred spirit within Maram, both being oppressed but Amani tended to forget that Maram was the reasoning behind why she was captured and held hostage. I've seen a few reviewers who were hoping for their friendship to extend to a romantic relationship but it would have been strange considering they're mirror images for one another. Wonderful review Kelly. TBH - I passed on this one thinking it was just another cookie cutter YA fantasy but it sounds very complex. It does have the usual young adult aspects but with the complexities of societal issues and themes of oppression and colonisation. It's a spectacular read Karen, you would really enjoy this one. Thanks for sharing. It sounds like it deals with some really pertinent societal issues and does so well. I'm glad you enjoyed this one overall! It's a great read Lauren, incredibly captivating. I'd love to see what you think of it! You'll really enjoy this one Sarah, it's a Moroccan inspired fantasy with science fiction elements. Really looking forward to the next installment, I have so many unanswered questions! Brilliant review. This is a book I have seen all over the place yet knew nothing of what it was actually about (seriously, I need to start reading the back of a book). It is not what I thought it was about and although I've not read much YA of late I kind of want to read this now. I might be making a trip to the library soon.